Kishore Kumar, the famous Indian Bollywood singer, became a legend in his lifetime. Named Abhas Kumar Ganguly, he was born on 4th August 1929 and died on 13th October 1987. A short life of 58 years but lived the way he wanted to. He was born in Khandwa, in the state of Madhya Pradesh, a town now, back then a small village.. He had 2 elder brothers, the eldest Ashok Kumar and the next to him, Anoop Kumar. Both were actors in the present day Bollywood, which then was known as the Hindi film industry. 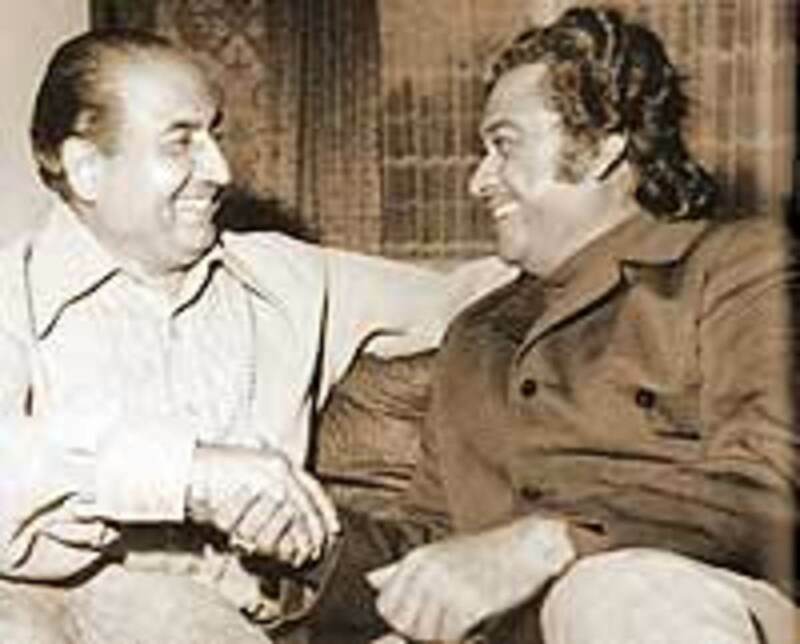 Kishore was still a child by the time his eldest brother Ashok Kumar, became established as an actor in Bollywood. Ashok Kumar was elder to him by 18 years. From an early age, Kishore was drawn towards singing and he used to imitate the then famous singer, Kundan Lal Saigal, who reigned as an singer actor. Those were the days when actors sang their songs themselves. Today, however, actors just lip sync to the singer on screen. 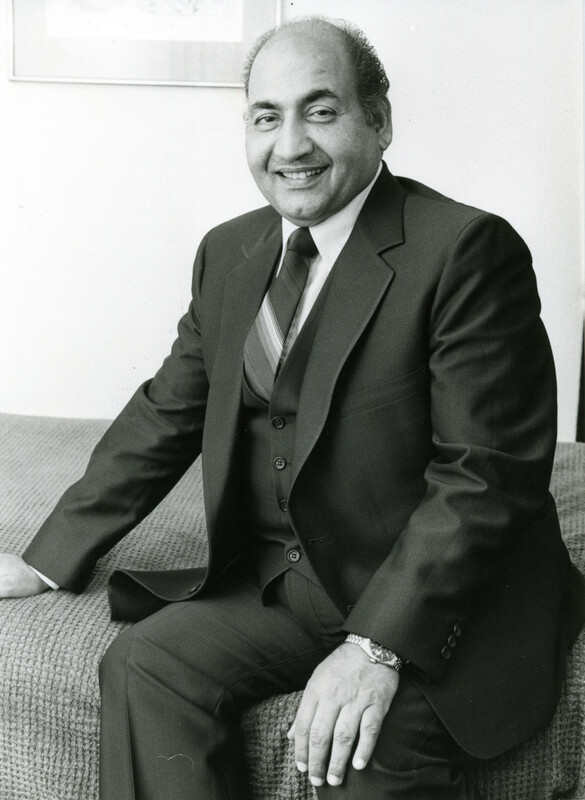 Kishore was a very versatile singer but even the best of music directors of that era were not convinced of his genius and so had to wait for more than 20 years, after he set foot in the Hindi flim industry, before he could bag recognition for singing with the first of his coveted awards. Kishore never had any sort of formal training in music, whatsoever. But from an early age, he could be found singing and humming to himself. Most critics, since they knew of his lack of formal training, were of the common view that he could not sing classical, gazals, qawwalis or bhajans. 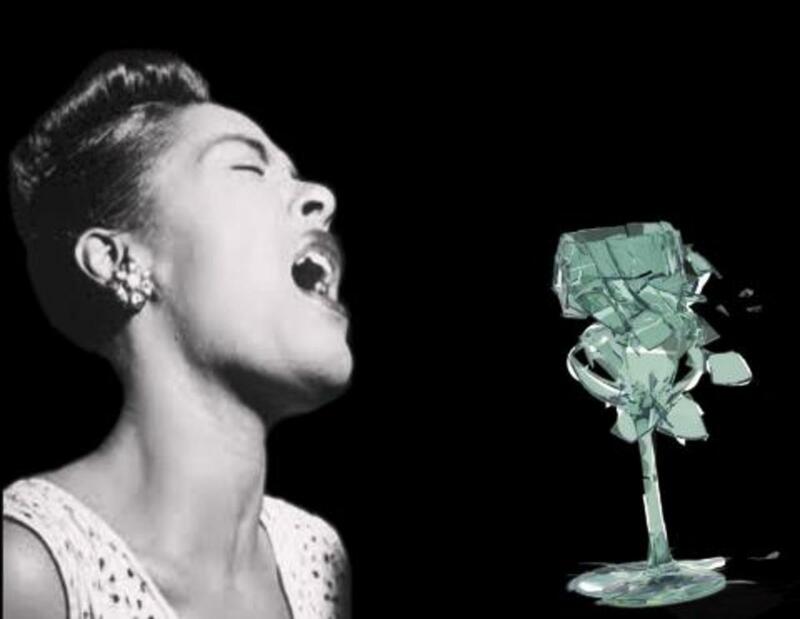 These genres of singing required one to have a classical base in singing. They accepted that he could only sing straightforward fast numbers. It's true that these type of songs were his forte and he excelled in these genre of songs. But he was a born genius and born with the talent to sing any type of song. 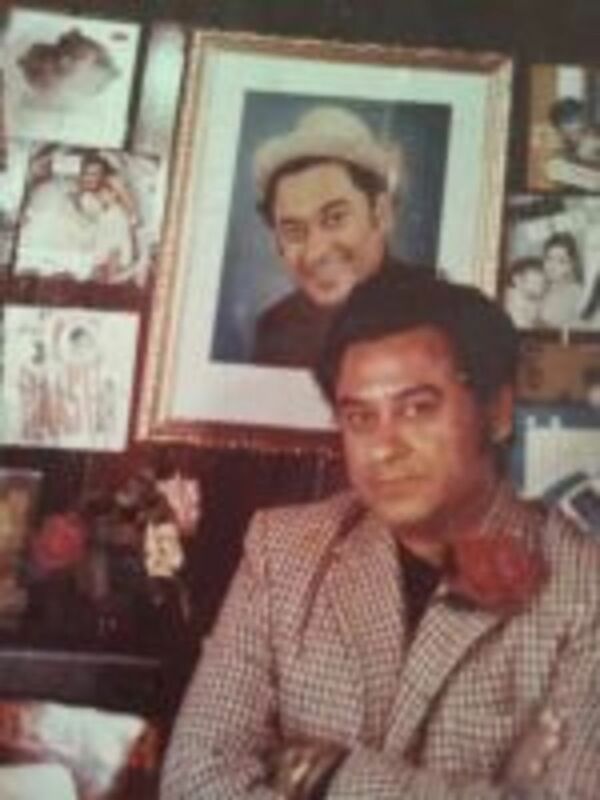 Kishore singing his first solo song for his first film Ziddi"
Kishore kumar did not have to struggle for work in the film industry because of his brother Ashok kumar's connections. He started out as a chorus singer for films made by "Bombay talkies" a film company that produced films. Ashok kumar was also employed by this company. In those days, actors and musicians were employed by the film companies unlike today. Simultaneously, he started getting offers to act in films, the first being "Shikari" in 1946 when he was about 17. However, in 1948, he got an offer to sing his first solo song for the film "Ziddi". You can see that he is imitating his idol, K.L.Saigal, when you listen to him. Since he started getting offers to sing, Kishore shifted base to Mumbai (the erstwhile Bombay) in 1949. Mumbai is the hub of the Indian film industry, even today. Yeh Dil Na Hota Bechara from the film Jewel Thief"
He started getting offers to act in films. Since his brother was keen that he should become an actor Kishore took up these offers but his mind was not into being an actor. Thus he did films like Andolan(1951), Naukri(1954), Musafir(1957) and others in which he acted and also sang his songs. Early on in his career, Kishore developed a penchant for yodelling, an art he took to when he listened to the gramophone records of Tex Morton and Jimmie Rodgers, at his brother's place. He incorporated yodelling into most of his songs and so succesfully that these songs would sound spiritless, bereft of his yodelling. In the late 60's he got a film "Aradhana"(1969) and got to sing for a relatively new actor, Rajesh Khanna,. Aradhana became an instant hit with its songs that catapulted Rajesh Kanna as a superstar and established Kishore kumar's reign as the leading male singer in Bollywood, a position he held till he died in 1987. He won the Filmfare award for the song, Mere Sapnon Ki Rani, in this film. In his career, Kishore sang for all the actors, new and established, singing all genres of songs, ghazals, fast, slow, bhajans, coedy, sad, happy, semi classical, folk etc. His voice was manly, effervescent, bubbly, joyful, sad, and expressed all shades of emotions as the song demanded. Kishore never smoked or drank, never socialized and had very few friends. He was a recluse preferring his solitude over these film parties. Like true geniuses, he was labelled an eccentric and there are numerous instances of his oddities of behaviour that are legion. Here are some anecdotes of his quirky behaviour. Kishore was paranoid about not being paid for his singing. At recordings, he would only sing after getting a nod from his secretary. Once, he turned up at a shoot with only half his face made up since the producer had paid him only half his dues. Another time, he reported with half his head and moustache shaven because the producer had paid less than half of what he owed him. On the sets of the film Bhai Bhai, he refused to act as the producer owed him Rs 5000 (about 90$ today). He was pursuaded by Ashok kumar to start shooting. After the shoot started, he would pause after every few steps, saying " Paan Hazaar Rupaiya" (5000 rupees) and do a somersault. As soon as he reached the other end of the floor, he ran out of the studio and hopped into his car ordering his driver to drive away. Still another time, one producer R.C.Talwar did not pay him dues amounting to Rupees 8000, inspite of Kishore's repeated requests. So, one fine day he visited Talwar's residence in the morning and started shouting 'Hey Talwar, dede mere aath hazar rupaiya' meaning "Hey Talwar, give me my eight thousand rupees". He continued this every day till Talwar paid him. Such anecdotes about Kishore are galore. For instance he had put up a 'Beware Of Kishore' sign at his apartment where he stayed for a while when his bungalow was being readied. Producer H.S.Rawail, visited Kishore at this apartment to pay him for his dues. After taking the money, when Rawail put forth his hand to shake Kishore's hand, the singer reportedly took Rawail's hand and put it in his mouth and bit it. When asked why he did so, he retorted, 'Didn't you see the sign by my door'. Once a reporter who visited him remarked that Kishore must be very lonely as he had no friend; this in reference to an interview in which the singer had said so. Kishore took the reporter to his garden and started introducing his plants by name, saying they were his friends. Another time a producer went to court and got orders issued that said that Kishore had to follow the director's orders. As a result, Kishore followed the orders to the letter. Following this he was shooting a car scene in Mumbai. Even after the car scene was over he kept on driving till Khandala (a distance of about 70 miles from Mumbai) just because the director didn't say 'Cut'. Such stories about his behaviour are numerous. But all his eccentricities were a cover up, as his wife Leena chandavarkar says, Kishore didn't wish to have people over and to dissuade visitors he built this facade around him. He recorded free even when producers were willing to pay like for the superstar Rajesh Khanna and Danny Denzongpa. He helped producer Bipin Gupta with an aid of Rs 20000, to help him out with the film "Dal Mein Kala" in 1964. In those days this was a princely sum. 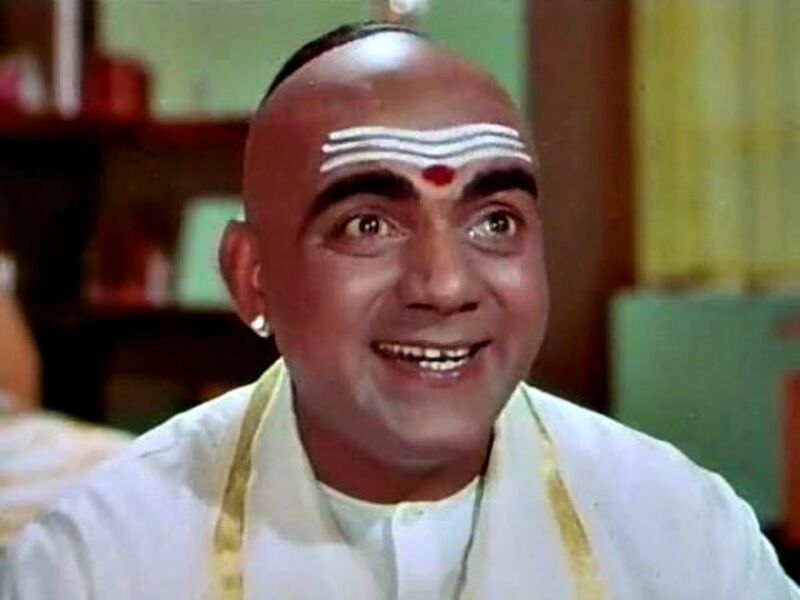 And when a lesser known actor, Arun Kumar died, Kishore used to regularly send money to his family just because Arun Kumar was one of the first persons to recognise Kishore kumar's talent for singing. He never forgot those who had helped him in any way. Kishore married 4 times but only the last marriage to actress Leena Chandavarkar lasted till his death. He was very much a family man. He produced a total of 14 films, with the story and music of these films being scored by him. He wrote screenplays for 5 films and directed 12 films in all. All said Kishore was a multifaceted genius. Kishore Kumar was an actor, singer, music director, producer, director, screenplay writer, scriptwriter and lyricist all rolled into one. Towards the mid 80's he had thoughts of retiring in Khandwa, his native place and was in the process of planning his shifting. But it was not to be. He died of a heart attack on 13 th October 1987. His body was taken to Khandwa for the final rites. Some glimpses of his singing talent can be heard in the videos below. In the song " Zindagi Ek Safar Hai Suhana" from the film "Andaz", you can listen to his yodelling which was introduced into Hindi film singing by him. You can gauge the flamboyance and fluidity in his singing of this song, which can only come to a singer who is in full control of his singing. Yodelling was his forte and there are umpteen songs in which he utilized it very effectively taking the song to new heights. You can compare the effort at yodelling by the co singer a female in this duet. 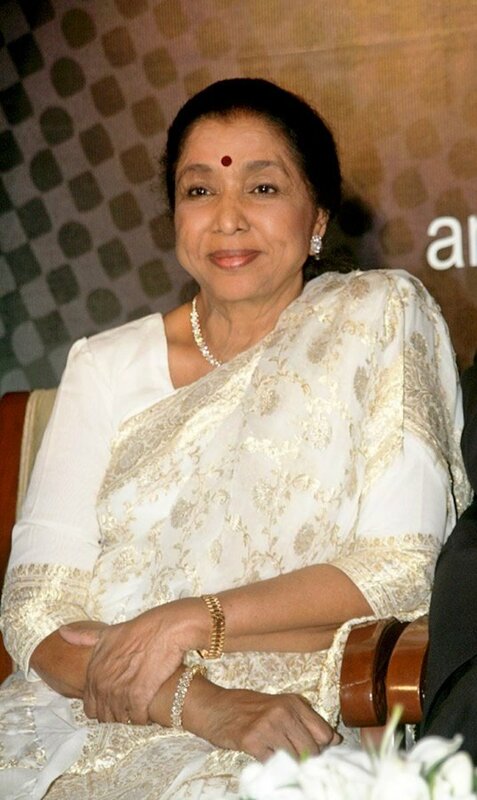 She is Asha Bhonsle, another master singer and legend in her own right, but is no match for Kishore in yodelling. Kishore was as soulful as ever singing the sad song "Dukhi Man Mere" in the film "Funtoosh" for the debonair Dev Anand, who played the character of an insane man, (played effectively in this film) who is just released from an asylum, as he is singing the swinging number "Chala Jata Hoon" from the film Mere Jeevan Saathi". You can listen to both the songs and see for yourself how Kishore effortlessly switches between the two extremes in singing. Listen to Kishore sing a bhajan (song in praise of the Lord). This bhajan " Kaahe apnon ke kaam nahi" is from the film "Rampur Ka Lakshman". "Kaise Kahen Hum" song from the film "Sharmilee" released in 1971 is a testimony to the fact that Kishore was adept at singing sad songs as well. While, singing comedy songs like "Paanch Rupaiah Barah Aana" from the film " Chalti Ka Naam Gaadi", he was at equal ease and his voiced flowed literally flowed effortlessly. In this film,he is the hero himself and his costar is the beauty, Madhubala, who later was to marry him. The song "Mere Naina Saawan Bhadon" from the film "Mehbooba" is a semi classical song which kishore did full justice to silencing his detractors. This song "Roop Tera Mastana" from the film "Aradhana" is probably the most sensual song sung by a male singer ever and Kishore sung it so well that he bagged the "Filmfare " Award for this song for the year 1969. In the song "Rafta Rafta" from the movie "Kahani Kismat Ki" Kishore showed that singing bubbly and effervescent songs was a piece of cake for him. This song "Chala Jata Hoon" from the Film "Mere Jeevan Saathi" is a fast paced song and Kishore sings with his natural grace, verve and gusto. Though a recluse and never one to party or attend film parties, Kishore put all his charishma and persona into the stage shows that he performed. He started performing these shows due to mounting income tax arrears and to tide over this crisis. His presence on stage was electrifying as he danced pranced on stage. Watch the video on the right to see one of his stage shows. Thanks Akriti. Legends are born not made and he was a true genius. Appreciate your reading and leaving a comment. I am a great fan of Kishoreji. I love his voice very much. My hometown Kozhikode is a place of music enthusiasts and Kishore is a favorite choice of many though Rafi stands first. But Kishore's voice is something special and I like it well. Thank you for sharing your knowledge here. I share this on my FB today itself for the benefit of music lovers, esp. the Kishore fans. Glimmer, nice to know you like watching Bollyood movies. Songs and dance are an integral part of every Bollywood movie. I'm glad you enjoyed the anecdotes about the colorful and enigmatic singer-actor. This was such an interesting article. I always love watching some Bollywood movies. The singing, dancing and colors are so vibrant and fun! I only wish I could understand what was being said. I enjoyed the anecdotes about the actor as well. @ TT - Yes, he was a fascinating character no doubt and extremely talented. Thanks for reading and finding it interesting. I hope you enjoyed listening to some of his songs, though they are in Hindi. 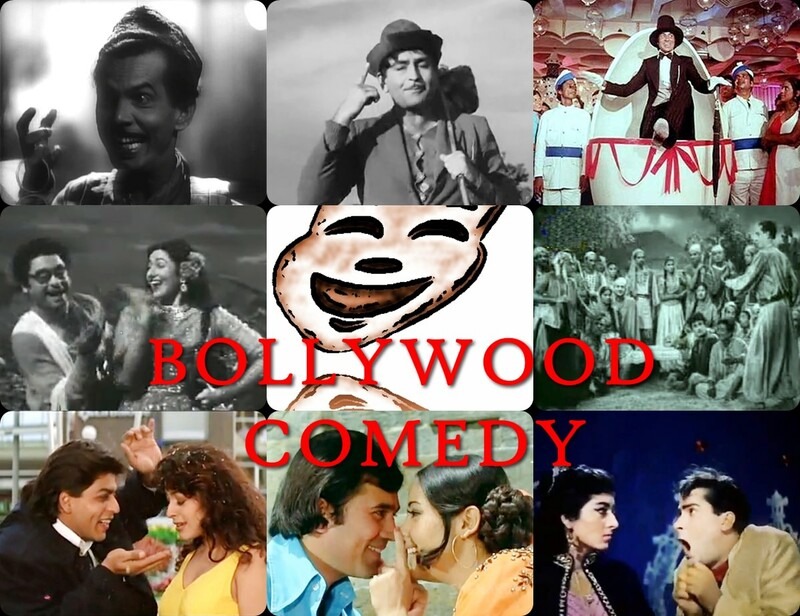 @ flashmakeit - songs and music are the heart of Hindi films. All films made to date barring a couple of films have had songs in them. I'm glad you read and watched the song from Jewel Thief. This film was released way back in 1965. I am really not familiar with any thing from Bollywood and after reading your hub I felt the interest many may have. I really was amused after watching "Yeh Dil Na Hota Bechara" from the film Jewel Thief. Keep writing wonderful hubs because you are an excellent writer. @ carol - Thank you for reading and commenting. @ sweetie - yes, kishore was a great singer who made many heroes famous. Thanks for reading. Thanks Patty, glad you liked it. Nice to see you here. A very AWESOME Tribute with a wonderful presentation!!!! Voted Up, Awesome, and Interesting!!! I have never heard of him, However you did a great job in makig him alive. Wonderful photos and great tribute. Aurelio, I'm glad you appreciate this hub. Thanks for the visit & support. Though I love Bollywood musicals, I'm not familiar with the individual singers, so I appreciate your introduction to this legend. The videos are especially useful in discerning his style. Voting this Up and Interesting.